Expired 6mo ago . Last validated 6mo ago . Used 160 times. 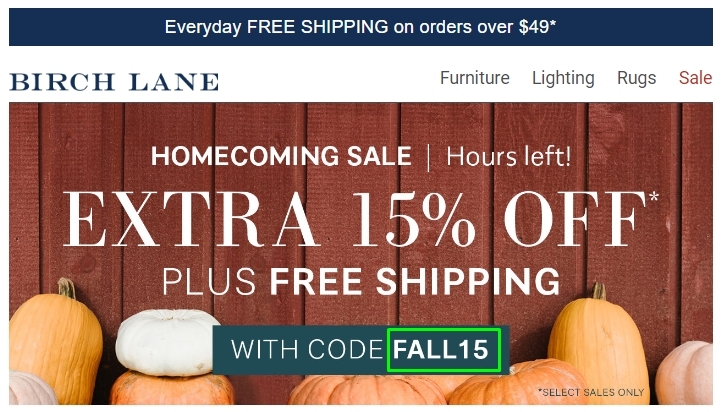 Maria Rodriguez This deal works as described, enter the promotion code fall15 during checkout to receive 15% Off + Free Shipping at Birch Lane (Site-Wide).